Weeds who are city dwellers have different playgrounds to play in than their country cousins. They can make a park out of an empty abandoned lot that the locals might call an eyesore, they can move concrete by thriving in cracks and they can graffiti with living green color the stark unimaginative cinderblock and stucco walls that define property lines. This thriving colony of crabgrass has landed their first victory in urban revitalization. 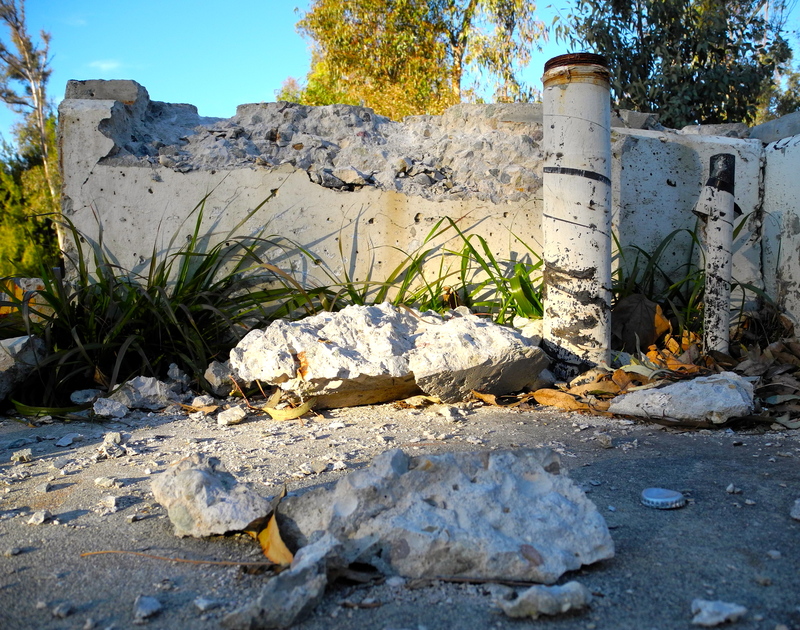 An abandoned concrete structure was recently jack-hammered down to size and the weeds have launched their first campaign at restoring the natural order of things. All they need is time for victory to be assured, for left alone, weeds are unstoppable. They do not doubt themselves, they do not engage in second guessing. Theirs is not to wonder why, but to grow and spread. So today I give a nod to the type of successful urban revitalization project that always catches my eye and make me smile. Weeds conquer construction! That is an awesome photo………. Next PostNext Oh Sunny Day!